There is a 70 percent risk that the world will experience an attack with a weapon of mass destruction within the next 10 years, according to arms experts. In a survey released Tuesday, 85 experts, mostly from the U.S., predict that one to two nuclear nations would be added during the next five years and that two to five countries would be added during the next decade. 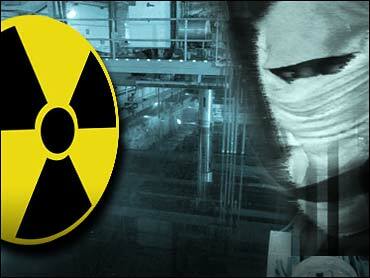 Presently, there are five declared nuclear states — the United States, Russia, Britain, France and China. Three others — India, Pakistan and Israel — are understood to have nuclear arms. North Korea recently announced it has nuclear weapons, and Iran is pursuing a nuclear program that the United States and other nations charge is aimed at producing nuclear weapons. "As part of the global war against terrorism, the United States and its allies must establish a worldwide system of accountability for nuclear, biological and chemical weapons," the survey said. "In such a system, every nation that has weapons and materials of mass destruction must account for what it has, safely secure what it has, and demonstrate that no other nation or cell will be allowed access." The survey, conducted by Senate Foreign Relations Committee Chairman Richard Lugar, describes a "real and increasing" threat and recommends more spending for non-proliferation programs. Almost four-fifths of the experts surveyed said that their country was not spending enough on nonproliferation objectives. None of the experts believed that their country was spending enough on non-proliferation. More than half of the experts recommended an increase of 50 percent or more in their nation's non-proliferation budget. The experts concluded the chance of a nuclear, biological, chemical or radiological (dirty bomb) attack on any nation to be 50 percent over five years and 70 percent over 10 years. The most likely scenario, the experts said, is an attack with a dirty bomb, combining a conventional explosive like dynamite with radioactive material. That carried a risk of 40 percent over the next decade. "Even if we succeed spectacularly at building democracy around the world, bringing stability to failed states and spreading economic opportunity broadly, we will not be secure from the actions of small, disaffected groups that acquire weapons of mass destruction," the survey said. "Everything is at risk if we fail in this area." In 1991, in the wake of the fall of the Soviet Union, Republican Lugar and former Democratic Sen. Sam Nunn initiated a program to combat the proliferation threat posed by former Soviet states. In the survey, the experts said the top global non-proliferation priority should be to secure and dismantle weapons and materials of mass destruction in the former Soviet Union. They recommend securing former Soviet weapons, employing former weapons scientists, or gaining access to Russia's biological weapons labs. The second most frequently listed "top goal" was containing the nuclear threats from Iran and North Korea. The experts had a number of different ideas about which area of non-proliferation work was most in need of more attention. The most commonly cited area, by about 10 per cent of respondents, was the need to expand efforts to prevent terrorist use of chemical and biological weapons. Others said the international community should do more to prevent weapons scientists from selling their knowledge, to shut down black market networks, or to secure ports and shipping. Among the experts who participated in the survey were Nunn, the Bush administration's top non-proliferation official, Robert Joseph, and former Republican and Democratic officials like John Wolf, James Woolsey, William Burns, Donald Gregg, Strobe Talbott and Robert Einhorn.